Imagine my surprise when my daughter and I, delivering daffodils to the local nursing home, ran into my high school government teacher. Pushing a walker and dressed impeccably, she might have broken a speed limit, if there were one, for senior citizens pushing walkers. The interesting factoid about Mrs. Trusch is that she also taught my father government when he attended school. In the 1950's. To say she's a legend is an understatement. This petite, well-preserved woman commanded and demanded nothing but order, attention, respect and passion as it related to the classroom, but especially to the topic of government. "Sure," she said. "I'm in Room 15. But I'm hardly ever there." I'm glad she's hardly ever in that room and that she's racing up and down the hallways. Otherwise, I doubt she'd have the wisdom and presence of mind to make the next statement, which was, "And thank GOD I'm not teaching government today. I wouldn't know who to vote for." For a tiny thing, she sure does have man-sized opinions. Mrs. Trusch is an honorable and a great lady, with an impeccable sense of style. And I guarantee there isn't one 80+ year old in the country who can beat her in a 100-yard hall dash....pushing a walker. - Cleaned the entire house for dear friend KAFFY and her cute son Drew. - Cleaned the entire house again for stepson J., dear sisters D. and S., and D.’s boyfriend M.
- Cleaned the entire house AGAIN for dear friends I. and L., college roommates who drove 3 hours to visit me even though I said I couldn’t clean any more. One of them is a Neat Freak who actually brings ROBES on vacations and who FOLDS her underwear. I love her anyway. Q: Why did God invent Spring Break? A: I have no freaking idea. This blog is currently on spring break, which is to say that my daily "routine" of lollygagging on the computer in between loads of laundry is temporarily disrupted. When I was about 12, I rode my bike directly into the path of a clothes line and burned a stripe across my nose which lasted for at least 2 years’ worth of school pictures. Yesterday, my 12-year-old son ran directly into a rusted, wire clothes line, and when all was said and done he emerged bloody and stunned. How do these things happen? 1. Why do we use clothes lines when we live in a civilized society in which most homes now have electric dryers and other modern amenities? a) We live in Mathews County. The End. b) To show that we are only one step away from reverting to using outhouses. c) To display our granny-style underwear to the neighbors, to the entire country and to God. d) To provide a perch for birds to “do their business” (the likelihood of which increases if there is clean laundry on the line). f) To ensnarl helpless children who are walking or bicycling by, rendering them bloodied, helpless, and scarred for life. g) To ensnarl grown adults who are trying to maneuver a riding lawn mower around flapping sheets and aforementioned granny style underwear. h) All of these and more, but especially (a). In short, if you are fortunate enough NOT to live in an area where clothes lines are popular, thank your lucky stars. And send me your address: I’ve got to get out of here. While I’ve had my fair share of cooking disasters, the crock pot has always been a constant, faithful, loyal, non-hazardous friend. Until yesterday. -Exploding an egg in the microwave. The recipe said there was no quicker way to cook The Perfect Egg. I say if you want The Perfect Mess, try watching me cook The Perfect Egg. -Frying and eating pork sausage patties that were still PINK in the middle. I was 12, and I was darn HUNGRY. I served the medium-rare pork sausage to my 2 younger sisters and then proceeded to help myself to seconds. I swear I wasn’t trying to kill anybody, I was merely staving off starvation. Who knew about trychinosis? The outside was burnt, so I assumed it was done. The Raw Sausage Story is usually referenced when they're discussing the time I had a tea party with my sisters and served D-Con rat poisoning. We weren’t going to eat it for gosh sakes. It just looked nice on the dainty little plates. -Exploding a glass baking dish that was loaded with delectable, and soon-to-be shard-covered lasagna. I guess the oven was too hot for the glass. Hmmph. These cookbooks should provide WARNINGS about the possible hazards. Anyway, the crock pot has been fool-proof cooking for me for almost 20 years. After putting a meatloaf in and walking away, I soon smelled burning rubber. Fearing an electrical fire and wondering what I’d need to grab in case of a blazing inferno, I traced the smell to its source: the brand new, stainless steel crock pot with black plastic carrying strap. Never mind the particulars, but Someone had stored the black carrying strap in between the heating element and the crock. Someone forgot to remove it before turning on the meatloaf, which, along with the black carrying strap, was going to simmer on low for 8 hours before shifting to warm. Warning: If Someone ever invites you over to dinner, bring a Hazmat Team and safety goggles. As well as a pizza. To survive in Mathews you must have a method of transportation. Most everyone is a good 5-10 miles from the nearest grocery store (that specializes in beef jerky and toilet paper. Other items such as EDIBLE FOOD THAT ISN'T GROUND BEEF AND DRINKING WATER are considered specialty items. Go somewhere else, please, that's a half-hour away.) The nearest recognizable chain store is in the next state. A car is no good, however, if you're not able to keep your driver's license. For some reason, probably because THERE IS NOTHING ELSE TO DO AROUND HERE, many folks drink. And drive. And drink some more. And drive some more. And then they lose their license. Then we get to read their names in the local newspaper, along with who is in jail, who got married, and how many brush fires the fire department responded to. Who needs reality TV when reality is right here under your nose? We have many local characters who have lost their driver's licenses, but they always seem to get around the county. JUST FINE. One fella pushes a WHEELCHAIR to and from the store. He limps, and clearly the wheelchair is meant for him. But he can't sit in it. Because he's pushing his plastic bag. Flled with a 12-PACK. In the seat of the wheelchair. Imagine my surprise when I was driving to the store one day and saw an old man on his RIDING LAWN MOWER going through the main part of town, the village (aka the court house). He was hunched over the wheel driving down the sidewalk. WITH A SIX PACK STRAPPED TO THE TOP OF THE MOWER DECK. Then there are the bicyclers. Many folks who lose their license choose this option as their preferred mode (over lawn mowers and wheelchairs). Their ability to "doctor up" their bikes to accommodate their habits is quite impressive. One gentleman, who never rides his bike without his knee-high rubber boots(I have no explanation, I only report it as I see it)has a small wagon attached to the back so he can haul critical items, such as beer. And more beer. With a side of beer. So you see, Mathews is full of lively characters. Sans driver's licenses. Doubt their sanity all you want, but the ingenuity cannot be touched. OR EXPLAINED.. Through a miracle, a freak accident, or some COSMIC FORCE, I happened to be fully dressed when I received a knock at the door. It was my daughter's friend, our neighbor, who was frantically reporting that my daughter had been injured and THAT THE AMBULANCE WAS ON ITS WAY. We interrupt this boring blog to make the following announcement: Daughter is fine. She got whacked in the head with a glass bottle during a WATER FIGHT, the details of which may NEVER BE KNOWN, but the bottom line is after some ice to the head and a check of all her vitals, she's fine (we wish the same could be said for her mother). There was no blood, just a big goose egg. We now return to the regularly scheduled boring blog, already in progress. Now, just to set the stage here, on any given Sunday evening I might STILL BE IN MY PAJAMAS. I also break out into hives if there is any disruption--however slight-- to my routine (by routine I mean AVOIDING HOUSEWORK AT ALL COSTS.) So to have a person at the front door announcing THE ARRIVAL OF AN AMBULANCE TO ATTEND TO MY DAUGHTER, was certainly, shall we say, unsettling. 3. When you have not bathed in 24 hours, don't make it a point of hugging on the little girl who is your daughter's friend. Between the breath, the rooster spurs and your overall odor, with greasy hair in a ponytail added to the overall mix, let's just say we don't want to traumatize her--or anyone--any more. Your daughter is used to it, but the friend just isn't. Like I said, it could have been worse. I was NOT wearing pajamas. Last year, I had to look up the definition of "blog," last month I had no idea how to "do a blog," and even today I still can't upload pictures. But TODAY I'M PLAYING BLOG TAG. A very dear person known as tj (www.humbleorigins.blogspot.com, I would LINK it, but that would require a BRAIN CELL) has cyber-tagged me. Now I must share six non-important things/habits/quirks about myself. Little does she know how difficult this is, because I have FOUR HUNDRED non-important QUIRKS to choose from. 1. My mother, in her youth, represented Gloucester & Mathews counties in the Miss Virginia Pageant. 3. My great-grandfather was a blacksmith (at Flat Iron in Gloucester County for the one reader who may know Gloucester. Oh, I forgot, I only have one reader, and she has no idea where Flat Iron is. Nevermind!). 4. I could eat chips, salsa and guacamole until I EXPLODED, but I can't because I'm over 40 and if I even SMELL chips my stomach expands by TWO sizes. It is a constant source of frustration 'cause I LOVE TO EAT. 6. When I was young I wanted to be an Olympic athlete and an archaeologist. I didn't achieve either one, although trying to find my car keys is much like digging for fossils. The morning school routine with two children is also quite similar to college-level athletics, requiring a drill-sergeant voice and marathon-level endurance. Ok, I'm done. The rules for Cyber-Tag are below. I've achieved the first three and will finish the rest later today after my daughter's soccer game. Or not, because I very rarely finish a project I start, even though I have every intention of doing so. THANKS VERY MUCH TO TJ FOR TAGGING ME!! For reasons that are still unclear to me, I volunteered to help coach track at Mathews High School. I suppose I wanted to do something productive, something helpful, something that would make me feel I was a contributing member of society. As opposed to someone who plays on the computer for 9.5 hours per day and picks their toes for 2. 1. It is possible, and in fact deemed acceptable, to run sprints and talk on the cell phone. Simultaneously. The definition of talking on the cell phone includes NEVER REMOVING THE CELL PHONE FROM YOUR EAR FOR THE ENTIRE DURATION OF PRACTICE. OR LIFE. 2. Eating a bag of goldfish crackers takes approximately 45 minutes and is the right thing to do before running an 800-meter practice race. 3. Texting your friend takes priority over eating goldfish, socializing with the person running (oops, scratch that, nobody's actually running)STANDING beside you, and breathing. Yes, all of this makes me feel better about myself, like I'm really making a difference. And I truly am,at least in the area of multi-tasking. Now I pick my toes and play on the computer. Simultaneously. You'd think this geographic layout would make for some easy navigation. For example, to the left is water; to the right is water; so let's just go straight ahead or turn back around and go the way we came. But I believe Mathews has one of the most complicated road systems known. To man. I don't know how many miles of backroads we have, but a conservative estimate would be four million. If you EVER accidentally veer off one of the two major roads, you can expect to surface ten miles from where you first got lost, and only after a search party has been sent to hunt you down. An old saying around here is "up the road." If someone is up to no good, they're usually "up the road" both literally and figuratively. Teenagers are always up the road. Strangely, soccer moms are never up the road, even though they spend a good part of their day driving up the road. It's a very complicated science, this Up the Road business. I'm convinced that the genesis of this saying has to do with some poor soul, on a journey "up the road," who took one wrong turn and ended up in a winding web of backroads so convoluted that they just pulled over, took all their clothes off, and went running like a maniac into the woods. In an emergency, we have a built-in response mechanism that equips us to fight the enemy or situation at hand or run like heck to get away from it. This is otherwise known as the Fight or Flight Response (or something close to that, I'm not much on details, and my memory fails me frequently, but I can get you in the Close Enough ballpark). But never mind all those RATIONAL thoughts, throw them out the window. No, you're in Mathews now. Just stifle any typical reaction and instead consider driving over to the house across the creek. Which is mere centimeters from burning to the ground. And bring your marshmallows, hot dogs and lawn chairs, because we've got what is known around here as a good old fashioned BRUSH BURNING PARTY. Welcome to yet another FASCINATING Mathews County language lesson. When someone SWELLS UP, they are COPPING AN ATTITUDE. Gettin' huffy. Pissed off. Upset. There are various forms of the verb "swell," some of which, like SWOLLED, have not a hint of being in the ballpark of grammatically correct, but the point is that when someone's swelled up, it's so bad that no rules apply. Daughter: "Hey, Daddy, where's Mumma?" Father: "I dont know. She's all swelled up." Daughter: "What's she swollen up over?" Father: " Who the he** knows. All I did was (insert any Man Activity of your choice here that would have nothing to do with being a helpful partner to his spouse) and now she's not speaking to me. She's SWOLLED UP I tell ya." Being SWELLED (or swolled) UP is contagious. In the scenario above, the Father inevitably becomes swollen. Or swelled. And the Daughter exercises extreme patience until all parties DEFLATE. Below is an essay on daffodils I wrote for the Readers Write section of Pleasant Living magazine (March issue). Given that you can find this FREE periodical in your local Country Grocery Store, I don't expect I can quit my day job any time soon. Thank goodness my grandfather planted daffodils. A retired Army officer, “The General” was looking for a way to spend all his free time and decided to venture into daffodils. While most people might plant a row or two to see how they did, he planted fields of bulbs, enough to establish a legitimate business, Royal Colony Farms. At a young age, my sisters and our neighborhood friends learned the fine art of daffodil picking, which was not without workplace hazards. As we carefully slid our hands down to the base of each stem to gently snap the flower, we occasionally would hit a stub, a thorn, or some other prickly plant. The open wounds would mingle with the flower sap and cause flower poisoning. There was also plenty of stooping, bending, and lifting involved as we picked, bunched, gathered, and loaded the flowers onto the tractor which hauled them to the barn. There each basket was lowered to a water bucket in preparation for packing and shipping. We helped make the boxes for shipping and learned the proper way to pack flower bunches. In short, we learned every aspect of that business, cradle to grave. I doubt my grandfather ever saw a penny’s profit from his enterprise, but the lessons we children learned were invaluable: the value of hard work, the importance of every person’s role in the overall venture, and the pride in growing and sharing with others the most beautiful and varied flowers of spring. My grandfather is no longer here, and alas the business died too. Yet every spring those fields continue to explode with sunshine on a stem, the dancing yellow and white flowers that give such joy, such beauty and so many wonderful memories without asking for anything in return. The true test of whether you're a rural or urban/suburban dweller boils down to trash: If you haul it to the dump, you're rural. Although Mathews does offer "waste management" services (by the way, when did trash become so fancy sounding? ), I don't know anyone who actually takes advantage of this. We all pile our stinkin' trash bags into the back of our vehicles and drive to the dump. Some folks--usually men-- view dump runs as a sport, almost a social event. Searching for any excuse to get out of the house, far away from Honey Do Lists and the accompanying nagging, these men jump at the opportunity to "help with the trash." The Dump Runner revels in the genius of his move as he plots his course. First he'll stop at a buddy's house to catch up on Deep Thoughts, Deep Manly Thoughts, like the Sports Illustrated Swimsuit Edition or belly button lint. Next, he'll stop by the 7-11 to revel in a hot cup of coffee and a flirtatious, yet benign, chat with the gal behind the cash register. He'll swap hunting and fishing stories with other customers who are there for the same reason: The Great Escape. After the trash actually makes it to the dump, the Dump Runner carefully considers his options. If he's feeling particularly rebellious, he'll go back to his buddy's house, drink beer in the garage and add Deeper Thoughts to the earlier belly button lint conversation. If he's feeling guilty, he'll return home after a well-rehearsed speech about how he stopped and helped an old woman get her kitten out of a tree. In any case, there's one place he's sleeping that night: the dog house. With a Honey Do List for a pillow. Mathews is all about water: waterfront property, easy access to deep water, lots of opportunities for water sports, easy living on the water. But it sure as heck ain't about drinking water. For reasons that are not clear to me, the drinking water here is lethal. DEADLY. People say that many moons ago a meteor hit the Chesapeake Bay area and landed here. This meteor contained (insert technical term of your choice here because I have no idea what I'm talking about), which contaminated our water supply. With no access to "city water," everyone is on a well. Evidently the water source for these wells is HADES. Our well water tends to stink, it tastes even worse than it smells, it has the power to turn white laundry orange, and we all live in mortal fear of ingesting any of it. Mortal fear. FOR GOD'S SAKE DO NOT DRINK THE WATER! we often tell our out-of-town guests. So what do we do for drinking water? We drive to the end of our lane, walk into A DITCH and fill our drinking jugs. With so-called "spring water." Out of a ditch. We've been doing this for over a year now, ever since my father discovered this fountain of youth bubbling on his property. The fact that we'd rather drink out of a ditch (slap whatever label you want on that "spring", we're standing in a DITCH when we retrieve our water) is disturbing, I agree. But reserve judgment until after you've seen what comes out of our taps. I am pleased to report that we do not have to use outhouses. Anymore. Sleeping in Mathews: What's That? I've always assumed that living in the country was generally more peaceful and relaxing than city living. Overall, that's a true statement, as long as we're talking about the daytime. While city living has its share of nighttime disturbances, such as ambulances, fire engines, and the early morning trash truck, these sounds are nothing compared to what happens here in the country. The Country lulls you into a false sense of peace and serenity. The beautiful sunsets and gentle lullabies of bugs and birds set the stage for a wonderful night's sleep. In fact, I usually sleep like a baby the first couple of hours. Until the kamikaze attacks begin. These attacks take many shapes and forms but leave one result: you go from deep, peaceful slumber to bolting upright in bed, hair standing on end and heart attack imminent. 1. CAT FIGHT - Sounds like Satan and his minions have descended. Screams, howls, wails and growls will scare the bajeebus out of you. Requires you to get out of bed, turn lights on and scare cats off. If this is the first such event of the night, a call to 911 may not be necessary, but have the phone nearby just in case. 2. DOG BARKING - May be your dog, may be a dog across the creek or in the next county over, but because you live on the water, sound carries. One dog barks causing every dog on the Eastern Seaboard to join in. Nothing, repeat NOTHING, will stop the barking. Although there will be breaks in the barking, it will start up again no matter how many times you pray to God that you will sacrifice your first born child if ONLY he will make it stop. Crying does NOT help. 3. RACCOONS, POSSUMS, SKUNKS AND OTHER MAMMALS- They're a dime a dozen around here and, because food is so abundant, they grow to be the size of small ponies. Their hobbies include eating anything, eating everything, and strewing trash an inch thick all over your yard. Although they can do this in stealth mode causing no disruption to sleep, their confrontations with outdoor cats, and the indoor dog's ability to catch their scent, will initiate the launch sequence of (1) and (2) above, throwing the victim into cardiac arrest AND a nervous breakdown. There are other nightly disturbances, including one's mother showing up from next door half-dressed and suffering from a concussion after falling down her steps, but that's a story for another day. In Mathews, there are no stoplights, plenty of winding country roads, and two kinds of drivers: NASCAR and Senior Citizen. The NASCAR drivers come in two flavors: Truck Driving Bubba and Working Mumma. They know only one speed: WIDE OPEN, zero to 80 at warp speed, regardless of posted speed limits, sheriff's deputies or stop signs. Bubba and Mumma are in a hurry to get to nowhere--but quick! Bubba's truck is jacked up so high you need an escalator to get in. The mud-caked windshield (from 4-wheeling) adds yet another element of danger when going around sharp turns on two wheels with Charlie Daniels playing in the background. The NASCAR Mumma works "across the river" and is always running late. Her strengths include the ability to apply mascara, talk on the phone, steer with her knees, tailgate, honk the horn, smoke a cigarette and cuss like a sailor. Simultaneously. Senior Citizens enjoy the quiet, small-town life that Mathews offers. Your Senior Citizen driver prefers a Buick (vintage 1984) and insists on wearing a hat (vintage 1940). The females in this category grip the steering wheel at the twelve o'clock position, instead of the recommended ten- and two-o'clock. This is due to the fact that they are literally hanging from the steering wheel trying to raise their eyes up high enough to see over top the dash. The male driver generally clears the top of the steering wheel, but only because of the required HAT. Seniors drive 20 mph below the posted speed limit and will signal one mile before their turn off. At one time, there was a third category of drivers. For lack of a better term, I'd call them your "average" driver. This now-extinct species drove the speed limit, not too slow, not too fast. The last known average driver was spotted in the 1980's. He's now a senior citizen. 1. Any female of any age residing in Mathews or the surrounding counties. The word is pronounced "dawln" where the "l" and the "n" are so close together they almost merge to form a new letter of the alphabet. Synonym (used by non-Mathews and otherwise normal people): Darling. Example Male, speaking to any female whether he knows her or not: "Hey, dahln, how you doin', dahln?" Male (who may or may not know you): "Hey, dahln, how you doin', dahln?" Appropriate reply from female to male: "Nothin' dahln, I dont' know nothin' good." It is important to note that this term is meant to be courteous and friendly rather than lewd or unwanted. Generally, the male in this equation is a "bubba." But that's another lesson entirely. We have lots of blue herons around here. If I weren't so technically inept, I'd insert a photo of one..... RIGHT HERE: PICTURE A TALL, SCRAWNY BIRD STANDING IN A BEAUTIFUL CREEK, NECK OUTSTRETCHED READY TO CATCH A FISH. Blue herons are not what I'd call your standard pet. You can't walk into a pet store and say, "I'd like a purebred heron. I'm not interested in any mutts or crossbreeds." Nor do you go to the local animal shelter and ask about the Adopt-a-Heron program. You don't hear people talking about their pet herons, you don't see people cooing over baby herons, PEOPLE JUST DON'T HAVE PET HERONS. Unless those people live in Mathews County. We have a heron who visits our back doorstep regularly looking for a handout. He's huge, and if you so much as make a motion inside, like breathing or blinking, he sees it and starts running towards the back door, hoping for some scrap of chicken or fish. I'm not sure which is more disturbing: the heron eating the chicken (which amounts to cannibirdism), or the fact that we live in a place where having a heron at your back door is not unusual. For the sake of sanity, let's just move on to the next topic. As soon as I can think of it. I am technically disabled. A techno-idiot. I still use dial-up for internet access. I get stressed out when I am on the phone and hear a beep indicating call waiting. I NEVER answer call waiting. It scares me. It's evil. My wonderful husband gave me a digital camera and a videocamera for Christmas. He also gave me a photo printer for my birthday. These things scare me. Worse than the call waiting. In theory this blog should be loaded with photos of Mathews, of our life here, of all the beautiful scenery, and all the lively characters I will write about. But it ain't. 'Cause I'm 'fllicted. I have NO IDEA how to use any of this stuff. The manuals that come with these gadgets are written in German, French, Spanish and Brazilian Portuguese, with only a hint of English thrown in. For example, in the Getting Started section on my camera it says: "Locate the farfegnuegen sprocketzee blockenschpiel and then insert buenos noches in slot ^@klsfd. You should now be ready to take all the pictures your heart desires." My blood pressure soars just reading these instructions. And I can never find the farfegneugen sprocketzee and nevermind the slot ^@klsfd. I swear when I was trying just to hook the STRAP onto the camera I started crying. And sweating profusely. My head spun around several times and my face turned green. Thankfully, I do have a son who understands this stuff. He doesn't even have to read the directions! He just figures it all out. So, until I can get him to teach me how to upload pictures, or download pictures, or whatever one does to get pictures on a blog, I will be Pictureless. And Clueless. With no sprocketzee inserted into anything, much less slot ^klsfd. As if living in Mathews weren't challenging enough, my family makes things even more, shall we say, interesting. Out here in the country, it's easy for Eccentrics to hide out. Right next door live my parents. Now, I'm not trying to be disrespectful, but there's some real Issues going on over there. For example, let's take tonight. I invited them over here for some shrimp and snacks around 5:00 so they could sit, talk and spend time with us and their grandchildren. They don't get out much, so I try to do what I can to make nice family memories. I made some jumbo shrimp, some vegetables and dip, lit some candles, tried to make everything nice, and waited for them to arrive. Daddy arrived first and announced that Mumma had lost one of her cats. One of her 420 killer cats. So she was distraught and searching all over the yard for this one cat. One of 420. Anyway, she finally showed up. They sat down, Daddy had some shrimp and tried to make casual conversation with Husband and Children. Mumma stared off into space and didn't eat. She was wringing her hands and asking if anyone had seen this cat. Then she got up and left. And never came back. She didn't announce she was leaving, she just left and never came back. Daddy left soon thereafter. My attempt at a nice Sunday familiy gathering was officially over. Later on, the phone rang. Mumma had found 1 of 420 asleep. On a couch. Inside the house. Under a blanket. So it was never missing in the first place. The only thing missing was the FAMILY portion of The Family Gathering. When I was in high school, dinosaurs roamed the Earth. The End. No, when I was in high school, I would often give my fellow basketball players a ride home from practice or a game. When we'd approach the driveway, they'd say, "Oh, just drop me off at the gate." It so happens there was never an actual gate to be seen. I soon figured out that "at the gate" means "at the end of the driveway." Where a gate would be if one were to have a gate. So, let's apply our language lessons from yesterday and today, shall we? "Hey, Bubba ("Bubba" will be explained in a future lesson), yesterday I was leaving out the gate to go to the courthouse, and I saw a skunk. I hope he doesn't have rabies. Don't tell Mumma ("Mumma" is yet another future lesson) 'cause she'll try to catch the skunk and nurse it back to health." Growing up in a small, rural, isolated community has its advantages. I learned a whole new language and didn't even realize it. There are many sayings we use here that may seem odd to the outsider. 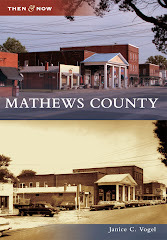 For example, we refer to our town or village, the main commercial area of the county, as The Courthouse. As in, "I'm going to the courthouse to get some bread." No, I am not driving to the county courthouse to purchase bread, but I am going to town to get some bread; I'm going to the store. "Where is Susie Q?" "She's up at the courthouse getting some gas." And the funny thing is, nobody ever really goes to the "true" courthouse, the building where all the legal transactions are made. Yet people are going to The Courthouse every day around here. To buy milk and bread.